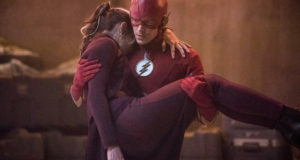 The CW tonight released a trailer for the May 17 episode of The Flash, which is titled “Invincible” and is a bit of a big deal because Arrow’s Katie Cassidy guest stars as the Laurel Lance of Earth-2. On Earth-2, Laurel isn’t a Canary, but instead, is a Siren… a Black Siren! You can see that promo trailer below; hopefully we’ll have some official photos soon. 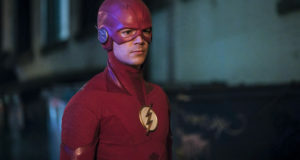 What did you think of tonight’s episode “The Runaway Dinosaur?” Come talk about it on our Flash forum!